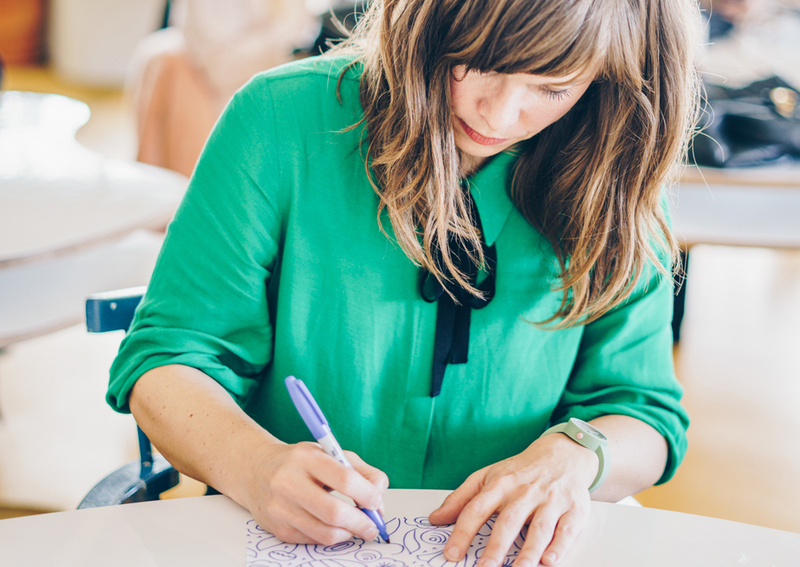 Elizabeth Olwen is a Canadian print and pattern designer living in Portugal. Inspired by the world around her—from the beautiful forests of Ontario, to the colours and tiles of Lisbon, to her cherished adventures abroad — Elizabeth’s work is driven by the desire to leave something beautiful behind with every step she takes. 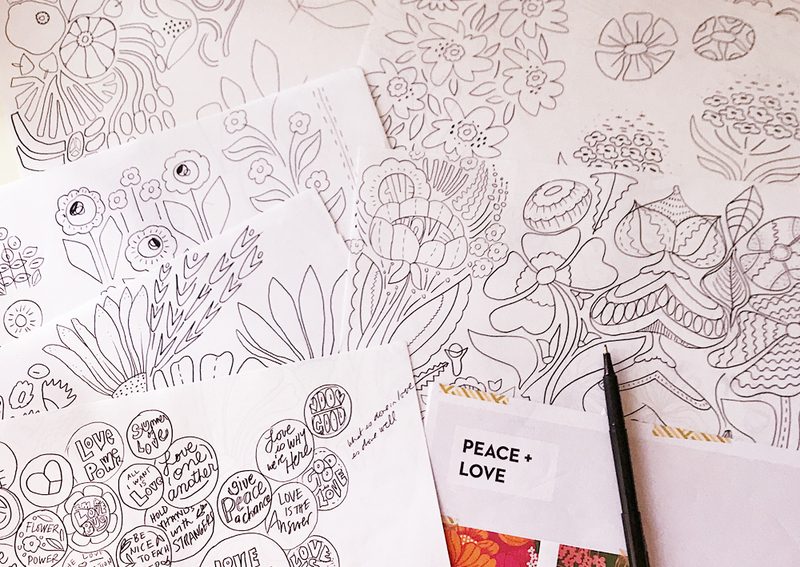 You can find her work around the globe, on products from decor and paper to fabric and bedding, for clients like Cloud9 Fabrics, Land of Nod, Tokyu Hands and Madison Park Greetings. Tell us a fun fact about you I just sold all of my belongings and am moving to Lisbon, Portugal. How did you get into illustration? I have always been artsy and trained as a graphic designer, but could feel I hadn't found my true calling — so I took a creative sabbatical in Berlin for 3 months, allowing myself to explore creative mediums, and realised that I was meant to be a print and pattern designer. Who or what inspires you the most? Who? William Morris, the father of pattern design. What? Travel! What does a typical day look like for you? I usually start the day with some exercise, a lovely breakfast and then a slow wander to my co-working space in Lisbon — a bright, plant-filled wonderland that inspires me and allows me to focus on my work. And in the evenings, I'm out trying to explore the city, eat the amazing food and meet new friends. I've been really working at trying to achieve a better work/life balance and it's really come together for me in Lisbon. I truly feel that the things you do outside of your work fuel your new work so I give myself permission to have lots of fun. What do you do when you have a creative block? I have lots of tricks! One that I use a lot is to go do something else! Change environments — get out of the place you're working and show your eyes something fresh or find a place with a different vibe, even if it's just a different room. And to *just start*. I have a 15-minute rule — I agree to simply do 15 minutes of work and if it's still not happening, I give myself permission to walk away. What happens is that I remember that the process is actually a truly joyful one for me, and that it was just fear (of creating something that isn't great) that stops me from moving forward. Once I'm engaged with the creative process, it's rare that I want to stop. What tools (digital or not!) do you use to create your work? I usually start with pen on paper, but then use my iPad Pro and Apple pencil (or my Wacom tablet) to recreate my motifs in the digital realm. I then lovingly assemble these motifs into illustrations or patterns. What's your favourite resource for inspiration? Just the world around me — walks through the city, nature, old vintage books or a discarded patterned mattress that I came across randomly! Do you have any tips for artists thinking of doing freelance? I always encourage people to have a side gig that pays the bills. If you can keep a part-time job or do something that might be not be your dream job, it takes the pressure off of your creative work and allows you some wiggle room to explore where you want to take your creative business. What would your dream project be? I have so many dreams! But I would really love to have a range of wallpapers. That was my first brush with pattern design when I was a kid, and I'd love to come full circle and see my own work adorn the walls of lovely homes. I think patterns are the backdrop to a beautiful life, and that patterns can be quite meditative — so what better way to integrate that into people's lives than through wallpapers. Fingers crossed!